Our Board of Trustees is committed to the Mardan mission. Dr. Greg Buchert is the Chief Medical Officer for Health Net in California. He formerly served as Chief Executive Officer and Plan President of California Health & Wellness, a Managed Care Organization which serves Medicaid beneficiaries in 19 California counties. Prior to that position, Dr. Buchert served as a Principal in the Southern California office of Health Management Associates, a national healthcare consulting firm specializing in publicly financed healthcare. Dr. Buchert was also a founding executive who created and launched CalOptima and served as the COO and medical director of that large public managed care health plan serving 420,000 residents in Orange County, California. 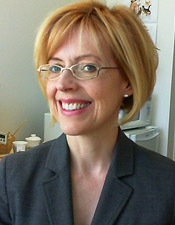 Dr. Buchert’s accomplishments also include serving as the Chief Medical Officer for Accelerated Performance, a start-up health information technology company, Administrative Director for the La Veta Pediatric Medical Group, and Associate Director of the Emergency Department at Oakland Children’s Hospital. He is the recipient of many awards for his advocacy work for children and for persons with disabilities. As a parent of a child with special health care needs, Dr. Buchert understands first-hand the challenges faced by Mardan students and their families. Mr. Foley is Statewide executive of KeyBank. Prior to joining Key, Mr. Foley was Executive Vice President and Group Manager of Commercial Banking for US Bank and Mellon First Business Bank. He also held senior positions at Bank of America. Until recently, Mr. Foley served as President of the Board of Trustees for The Mardan Foundation of Educational Therapy for 14 years. He has a long history of service to community based boards throughout Southern California. Mrs. Incorvina is the Regional Managing Principal at the Irvine office of Redwitz, Inc. She is a Certified Public Accountant and Certified Fraud Examiner with more than thirty years of experience in public accounting. She has expertise in the non-profit sector as well as various for-profit industries. Mrs. Incorvina is a member of the American Institute of Certified Public Accountants, the California Society of CPAs, and the Association of Certified Fraud Examiners. She also serves on the Board of Directors for Stage Door Repertory Theatre, which provides theatrical presentations that nurture local artistic expression. She has also actively served on the not-for-profit core team of AGN North America since 2004, and in this role she assists in planning educational forums for professionals who specialize in non-profits. Since 2016, Mrs. Incorvina also serves as President of the Board of Trustees for the Mardan Foundation of Educational Therapy. 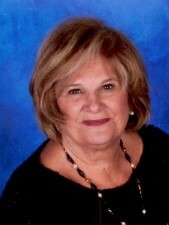 Mrs. Incorvina is a California native and currently resides in Yorba Linda with her family. Dr. Lesley MacArthur is board certified in child and adolescent psychiatry and has a private practice in Orange County, CA. She previously worked at the County of Orange Health Care Agency and as Medical Director for Managed Care for the Department of Mental Health for the County of Los Angeles. Dr. MacArthur is a Distinguished Fellow of the American Psychiatric Association and has served on the Council of the Orange County Psychiatric Society. In addition, she has proudly served as a Trustee for the Mardan Foundation of Educational Therapy, Inc. since 1999. Dr. Andrea Stebel is a board-certified oncologist specializing in breast cancer. She opened the first breast center in Newport Beach, Newport Breast Care in 2002. Most recently, Dr. Stebel has relocated to Fresno, California joining California Oncology to help establish a breast program. 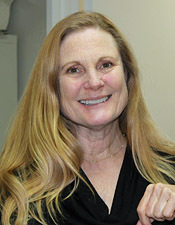 She maintains connections in Southern California remaining on staff at Hoag Hospital and Long Beach Memorial. Dr. Stebel has a long association with Mardan, with her son having successfully graduated from the school and going on to complete his degree at UC, Berkeley. Dr. Stebel feels privileged to work with Mardan because of the passion the school brings to helping special needs children become successful and achieve their goals. Mr. Schoenlaub is the Managing Director and Founder of Markwood Capital Alliance, a middle market boutique. 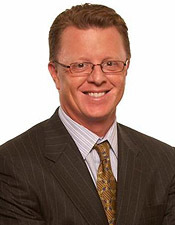 Prior to 1988, he was Senior Vice President for First Chicago Capital’s middle market lending group managing their asset-based product for the 12 Western states. Previous experience includes Chase Commercial, Security Pacific Business Credit and Equico Lessors, a finance division of the Equitable Life Insurance company. He graduated from Claremont High School where he was an All-CIF football player. He received a BA in Economics from Whitman College in Walla Walla, WA. While in college, he was a four year starter on the varsity football team, team captain of the varsity football team, and President of Phi Delta Theta fraternity. Mr. Schoenlaub is married and lives in Lake Forest, where he is active on several boards for both industry and the community. Mr. Williams is Vice President / Portfolio Manager for U.S. Bank’s Orange County Commercial Banking Office where he manages a portfolio of middle-market commercial banking clients. Prior to joining U.S. Bank, Mr. Williams was a Relationship Manager with Mellon 1st Business Bank and Sunwest Bank in Orange County. Mr. Williams holds a Bachelor of Science in Business Administration with an emphasis in Finance from the George L. Argyros School of Business and Economics at Chapman University. 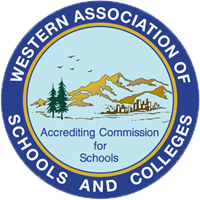 Mr. Williams has been a member of the Board of Trustees at Mardan School since 2008. Sherry Hoselton currently serves as the Director of Child Care Services for Geneva Presbyterian Church. Ms. Hoselton has extensive experience as an educator and professional in the field of children’s services. 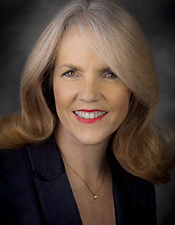 She holds a Life Standard Elementary Teaching Credential, and previous professional positions include Vice President of Child Care Services Management and Consulting for the National Pediatric Support Services (NPSS) and Child Care Amenity Group (CCAG), Area Manager for YMCA of Orange County, and Program Supervisor for National Pediatric Support Services in Irvine. 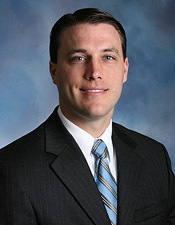 David Dworakowski is a Managing Attorney in the Orange County Public Defender’s Office. 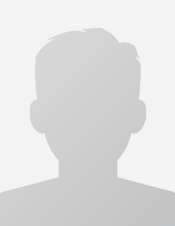 He is currently the head of the Writs & Appeals Department. In his 29 years as a Public Defender, David has been a senior trial attorney, a supervisor of the Felony Panel, and the managing attorney at several Justice Centers. 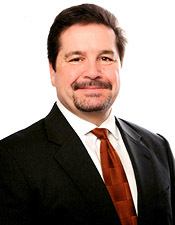 David has successfully tried numerous homicide cases, including capital cases. He began his legal career as a deputy district attorney in the Philadelphia District Attorney’s Office. David enjoys strategizing with other attorneys on felony cases; he is in daily discussions with attorneys about trial strategy, defenses, and legal motions. David often conducts formal training in the Public Defender’s Office on a variety of subjects including: cross examination, developing a theme in closing argument, defending eyewitness identification cases, and immigration consequences of a criminal conviction. David is regular speaker at Bar Association Conventions and other legal organizations. David lives in Laguna Beach with his wife Anita and their five children.